These high-quality velvet patches are perfect for your favorite work shirt, jacket, hat, or bag! 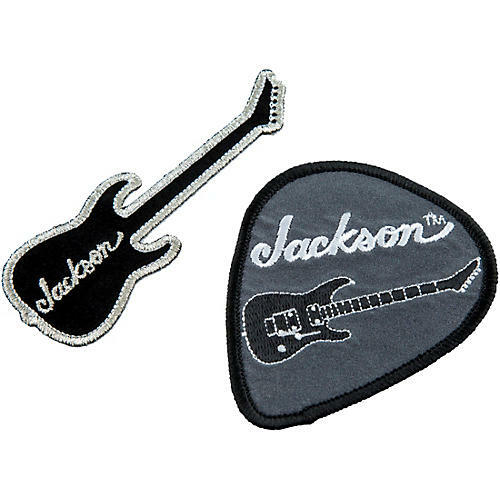 Sold as a pack of two, it features a Jackson guitar shaped patch that measures 4" x 1.25" and a pick shaped patch that measures 2.5" x 3". Both patches have an embroidered Jackson logo.